Asia, to me, doesn’t feel like a continent. It feels like a heartbeat whose reverberations change as you travel from country to country, city to city. Gaudy hand painted signs, flashing neon temple spires, noisy street vendors, hooting motorists and the ever present policemen (or women) are a copy/paste from Bangkok to Mumbai and Coimbatore to Kuala Lumpur. 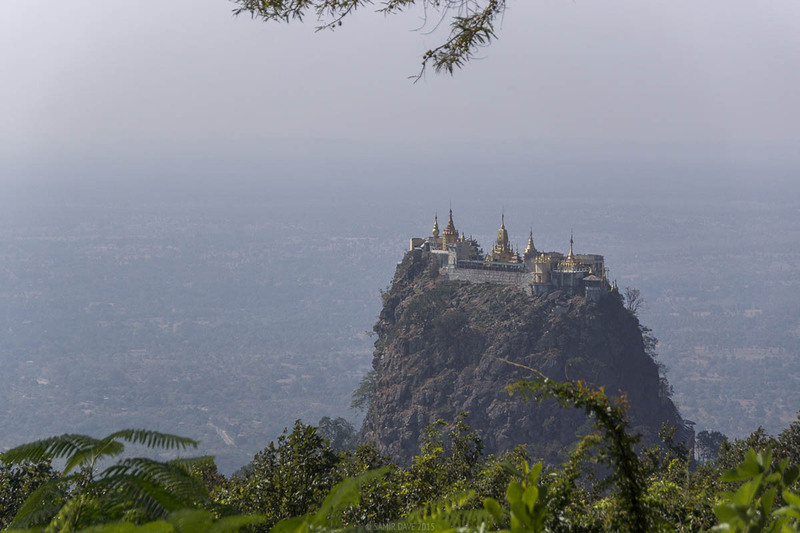 Tucked away between India and China, Myanmar (formerly known as Burma) had never been a major blip on my travel radar. With 2015 being a busy work year for both, my wife and I, a vacation was also not on the charts. December came abruptly and I closed for Christmas on the 12th, whereas the wife was still at work. Sitting at home alone with nothing to do, the wanderlust bit hard. Myanmar came to mind but we only had 10 days of travel. I got in touch with a travel agent in Yangon shared by a friend and booked a typical tourist package. With a couple of tweaks to the itinerary, we set off on the 21st of December. These are some of the glimpses from our journey. Born on Christmas day, I tend to get lucky with a celebration at most places I am at. 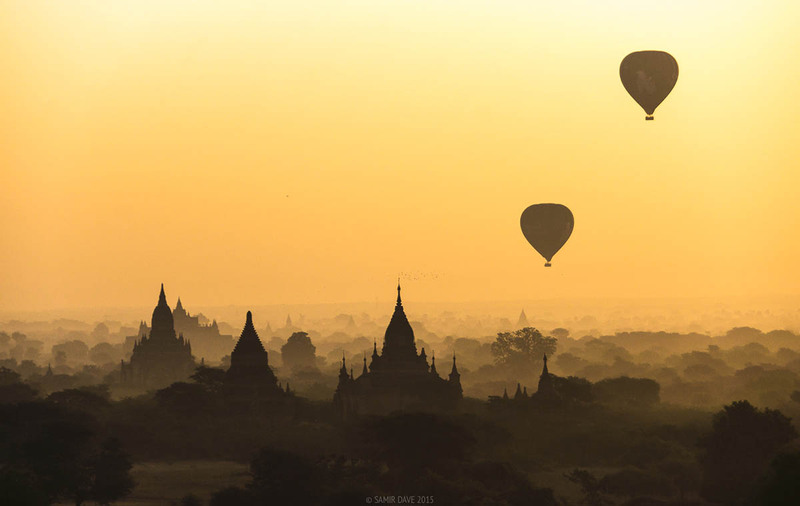 My wife was such a gem that she managed to score a sunrise balloon ride over Bagan as a gift. 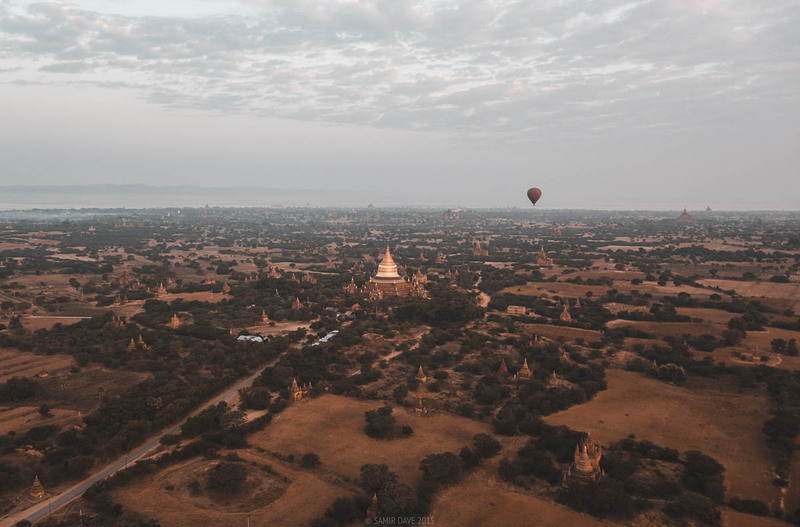 Floating above the over 10,000 temples in Bagan in a noiseless balloon was a gift so surreal, that we just held on to each other and got lost in soaking in the sights, that we even forgot we had brought cameras with us. To top it off, we landed in a random farm out in the middle of nowhere and within 2 minutes a couple of things happened. A champagne breakfast was laid out for us; kids appeared from nowhere to sell touristy trinkets and souvenirs. With over 2,000 temples in one area, you would assume that finding a secluded one would be easy. Why find a secluded temple? 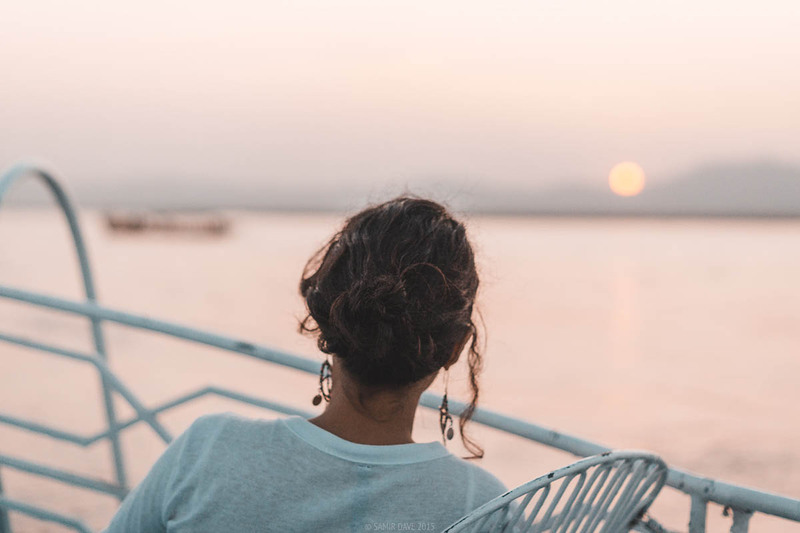 Have you sat all alone on the roof of a 9th century temple watching the sun rise or set for the millionth time, reminding you how infinitesimal you are in this universe yet you have made so much change to it in one way or another? No, I lie, the reasons to go Indiana Jones style exploring was just me. We would trek out as early as 4am to search for uncrowded temples and unique vistas. 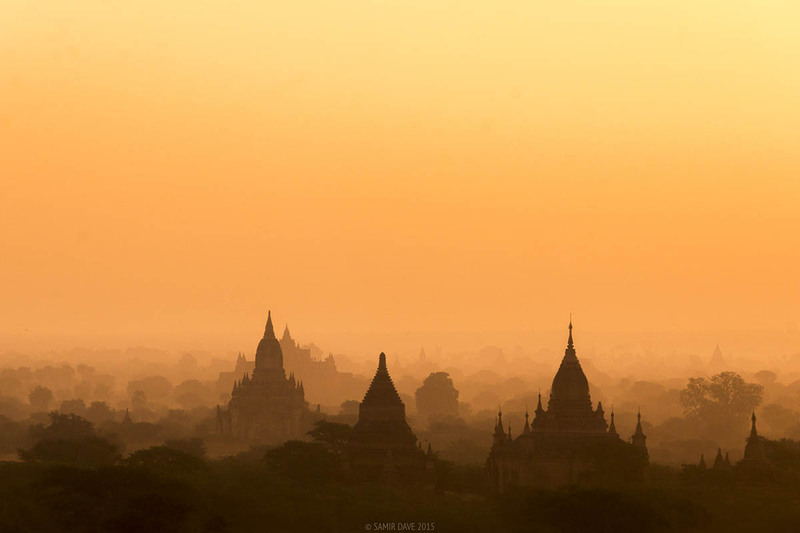 The ancient kingdom of Bagan consists of over 10,000 temples of which over 2,000 are still standing. Spread through the jungles and along the river, one of the most practical ways to fathom the magnitude of their spread is by air. Tens of balloon companies offer aerial safaris in balloons pointing out some of the most popular temples and some of the more obscure ones. 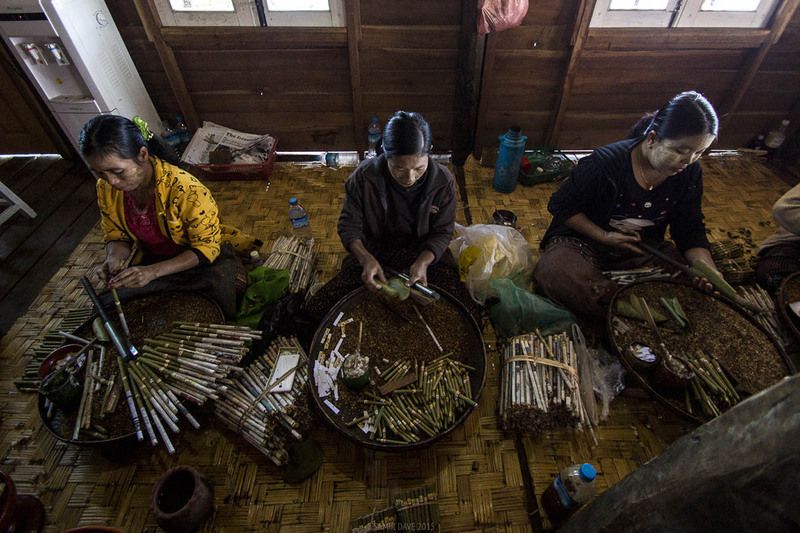 Cheroots are inexpensive Burmese cigars smoked by men and women alike. These are hand made with plain or flavored tobacco. 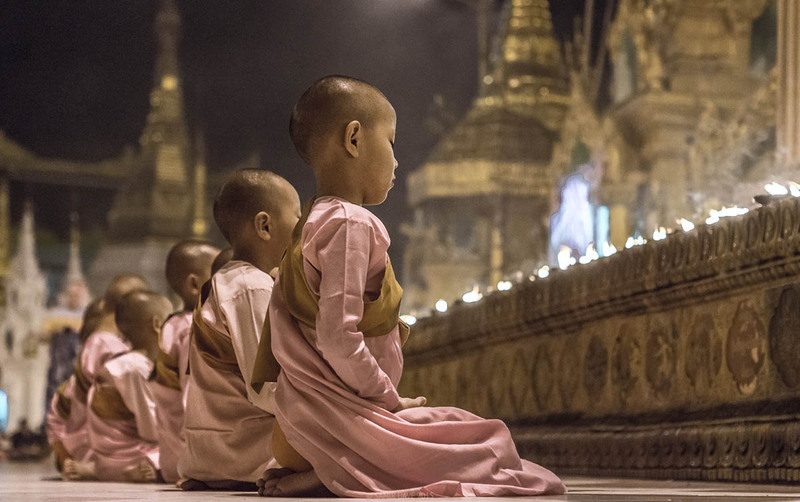 Each evening, novice female monks perform a candle lighting ceremony at Shwedagon pagoda. Once done, they sit, pray and meditate a while before leaving. She was busy spinning cotton wool by the window. I jumped up and got a series of shots. Most were candid ones but this was my favorite as she reacted to seeing me. 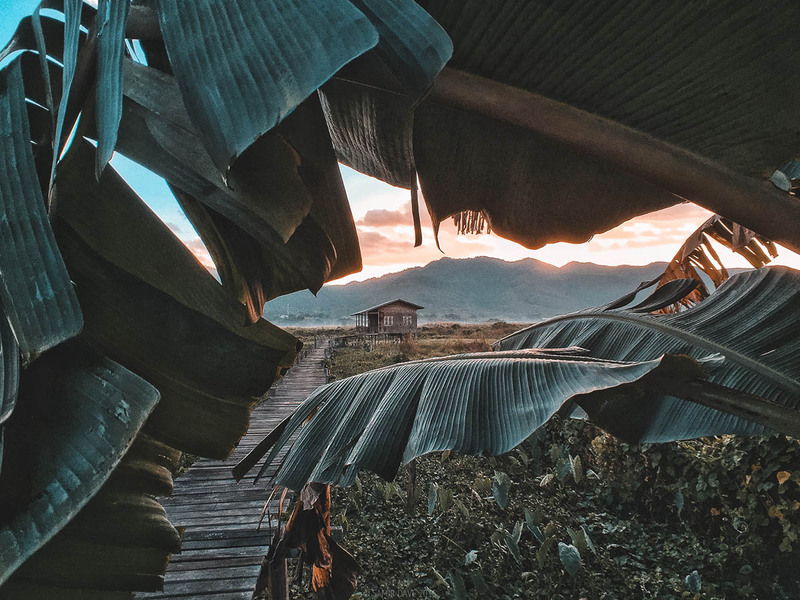 The Golden Island Cottages were our home at Lake Inle. 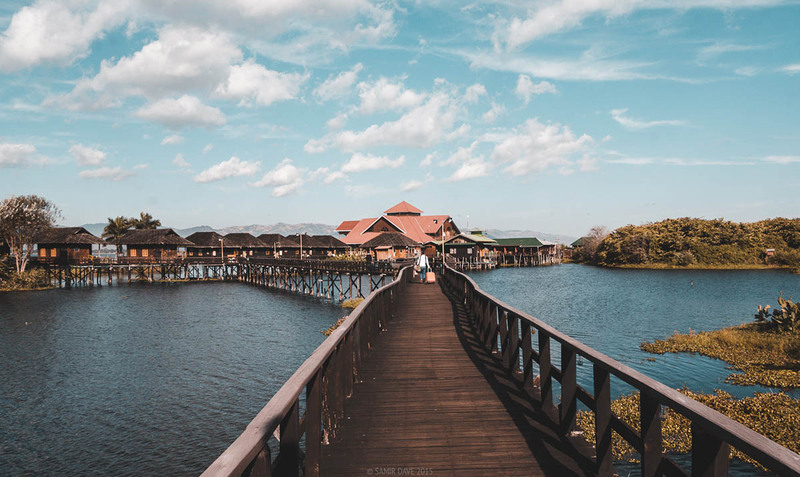 Built onto the lake, this floating hotel was a combination of traditional charm, modern amenities and Burmese hospitality. On the Bagan map were two temples a little off the path and slightly in the jungle. For some odd reason, I made it my life mission to get to them. We got on our bike at an obscene hour and the wind-chill did not help. After a number of falls from hitting hidden exposed roots in the dark jungle, nasty spills from the sandy jungle soil and a little chastising from the wife I gave up and we caught the sunrise from the first temple we came across. At Lake Inle we saw the famous on legged Intha fishermen. Rowing with one foot, fishing with the other, this traditional craft is now mainly orchestrated for tourists. Now most Intha fishermen use fishing nets and modern equipment to fish in the shallow lake. Initially, we had not slotted Mandalay in our plans of Myanmar. On a whim and some cooperation from the travel agent, we caught a last-minute flight to catch the sunrise on Ubein bridge. The solo monk was a huge contrast to the extremely busy bridge. 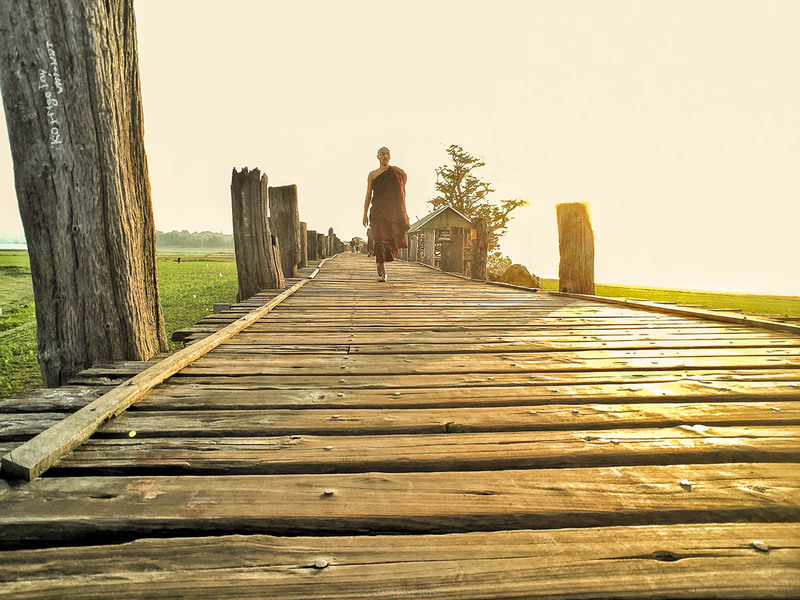 Monk crossing the U Bein bridge. One more of the many touristy spots we went to was a “viewing point” on Mount Poppa from where you could see Taung Kalat. This is a monastery built atop a volcanic plug. The guide even pointed out that the overhanging leaves would add a key framing element. I obliged. We even got our guide to come dressed in traditional P’au wear and got her to model for us around the Kakku pagodas. 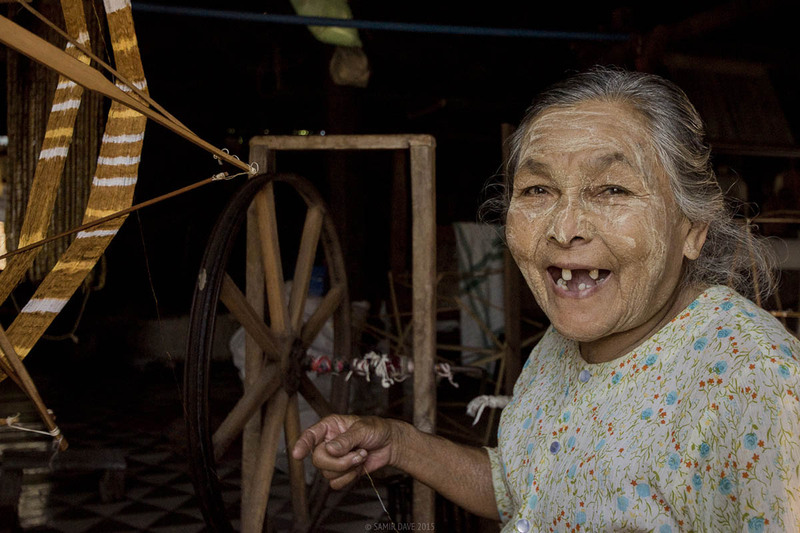 I must tell you, after our trip, she had the best Facebook profile pictures out of all the P’au guides in Shan state. We had a boat unto ourselves that came were part of the joys that a last minute private tour brought. When we were not scaling temples at sunset, we floated up and down the Irrawaddy river. As the skies went from blue and grey to orange and pink a sense of calm and serenity came with it. We felt less touristy and more at home. Since we were being touristy, we bought this cheap paper umbrella that turned out to be quite a hit as a sun shade and a prop. We kept coming back to people watch here and the sunset was just about as stunning as the sunrise here. Part of the tourist trail included visiting little shops and souvenir sellers. 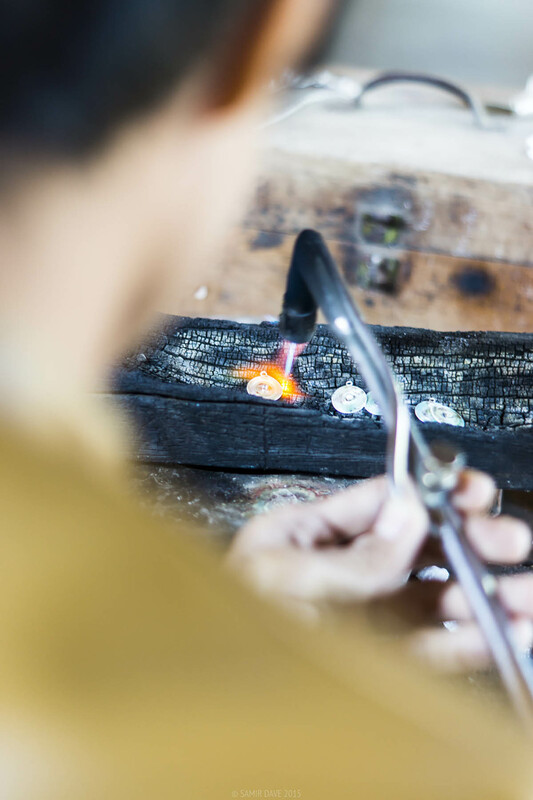 Watching a silversmith work was a little more exciting that the prospect of being sold hastily made overpriced trinkets. Sunrise on Lake Inle. Our little cottage at sunrise. The Guni temple complex is a little difficult to access for lack of proper roads, signage and being a little further in the jungle. We caught a spectacular sunset with each other as company, and in absolute peace – something my wife battles with constantly. As we were leaving, the temple, we saw flickering lights and on exploring, we were rewarded with this spectacularly lit antechamber. It turns out that many devotees have a favourite temple or a family temple that they visit, clean and light up regularly as their contribution or light penance. We ended up spending some more time sitting in the candle light, taking this all in. People watching at Shwedagon, this couple had walked in and a busy photographer was directing them all over the place. At some point, I jumped into their mix (after taking permission) and got a few shots of the demure groom and exhausted bride. My favorite shot actually includes the assistant lifting the bride’s train and scowling at me. This is my second favorite. Many thanks to Samir Dave for this wonderful contribution! Check out his social media Facebook, Instagram, Tumblr, Flickr for more brilliant stuff plus follow him on Twitter. I'm Samir Dave, a Kenyan hobo, I chase sunsets (and sunrises too) usually with a camera and a whisky in tow. I am also an avid traveler, a voracious reader, a husband, a burnt out corporate slave and an aspiring writer. Thank you Jo. Despite it being a short trip, we feel that we have fallen in love enough to go back. These photos are really stunning. You should sell them to the Tourism board. That reflection one is exceptional. Many thanks, Lydia. I appreciate this very much. Thanks for the wonderful photos. 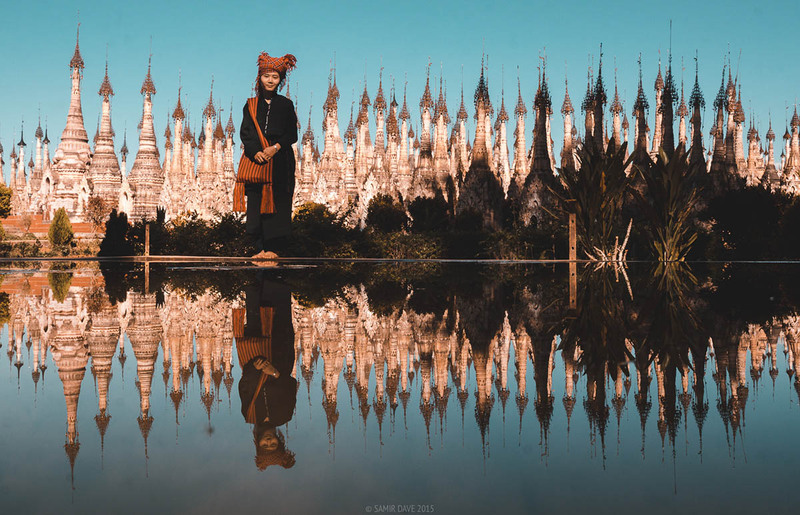 Myanmar has been on top of my list for over a year now. I would love to cruise the Irrawaddy River. Thanks Rhonda. We spent so much of our free time on the river that we jokingly asked the boat owner to give it a temporary name of our chosing. He didn’t. 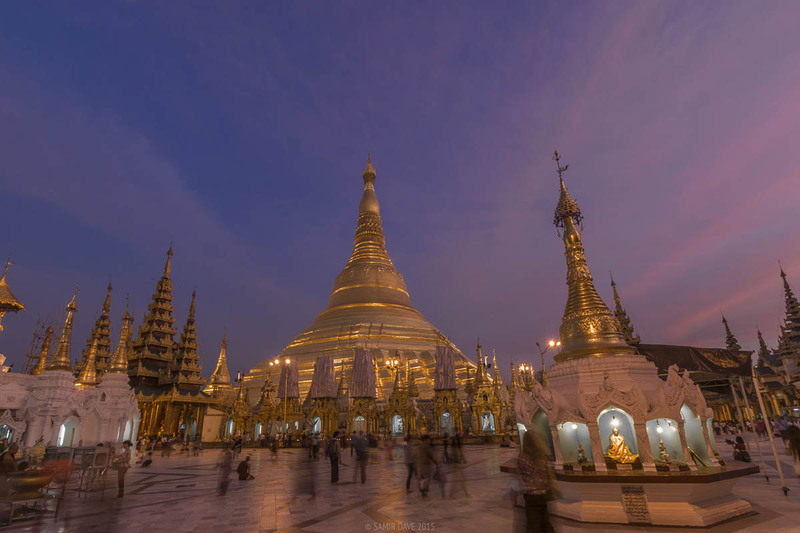 Myanmar is an amazing place, make sure to visit the Shwedagon Pagoda. Thanks for sharing the photos. Thank you Jesse. I did and I agree, Myanmar is an amazing place. 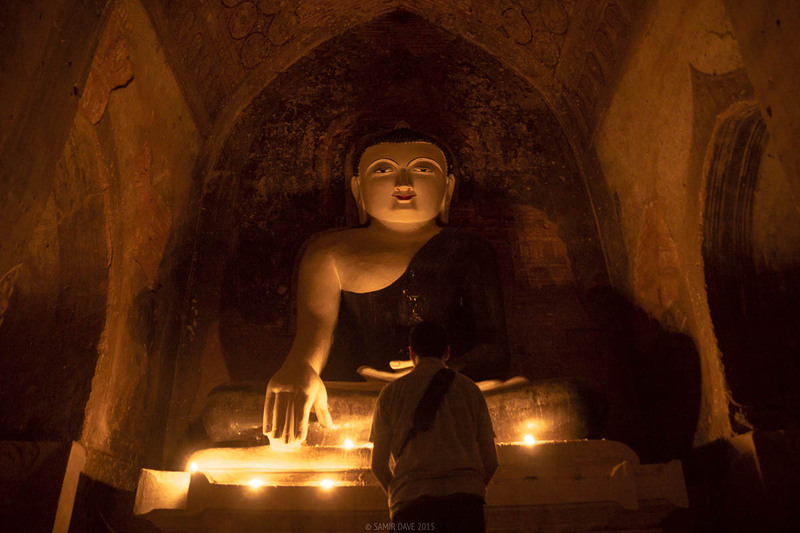 I agree with you, Myanmar does make you want to visit again. It makes me happy that you enjoyed the images, thank you. Thank you so very much Aung. Thank you so much, Jim. I appreciate that. I trust Myanmar will be a joyous journey for you as it was for us. Reminds me of my visit to Myanmar. 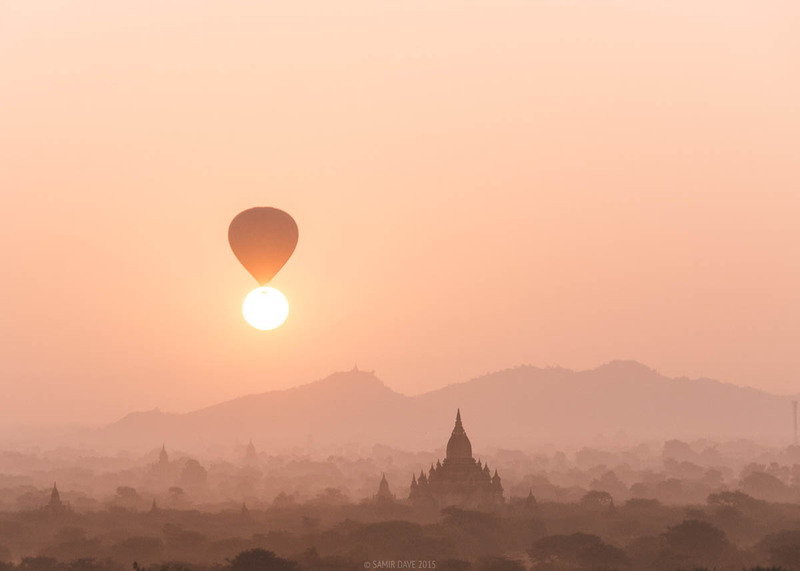 Since the moment I’ve seen the picture of sunset over Bagan, I ran out of words. Like coming from another world. I’m not sure that you know Avatar Hallelujah Mountain in China. Both look so unreal. I came here in the end of October 2016, it was a big luck for me as the weather wasn’t bad. I was worried of raining as it was still rainy season in Myanmar. It took me at least 2 days to somehow cover all corners of Bagan. A destination that I personally recommend to all. 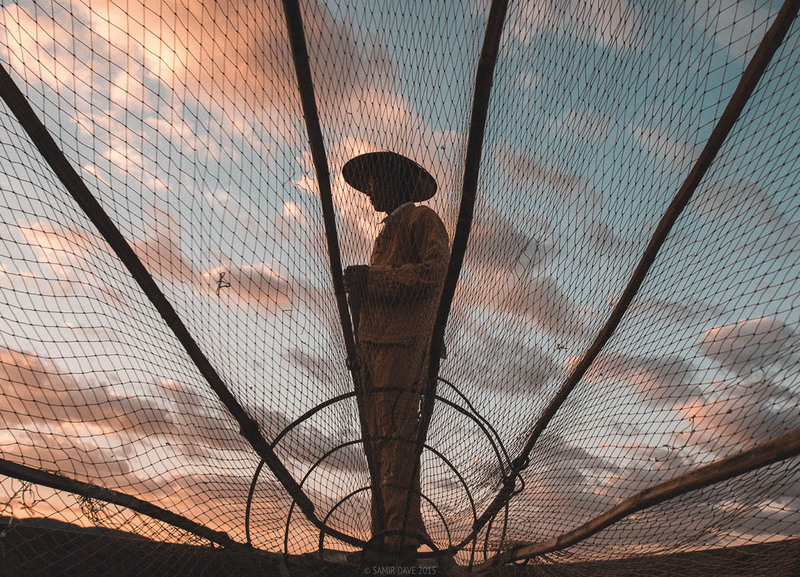 These photos – especially of the balloon ride and your tour guide’s photoshoot – are stunning. I’d love to visit Myanmar someday. It seems like such a mysterious destination! Myanmar is an beatiful place, make sure you visit the Shwedagon Pagoda. Thanks for sharing incredible photos. 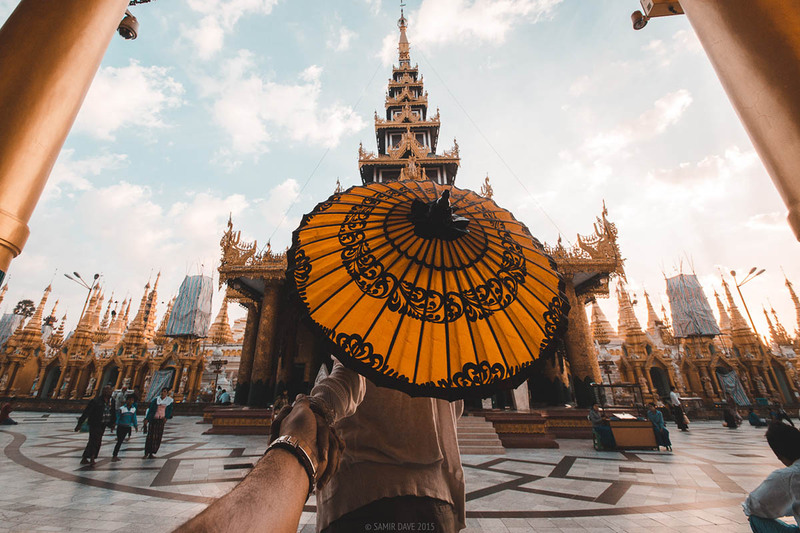 We love your photos especially the hot air balloons flying over temples and pagodas, and the Pau Girl. 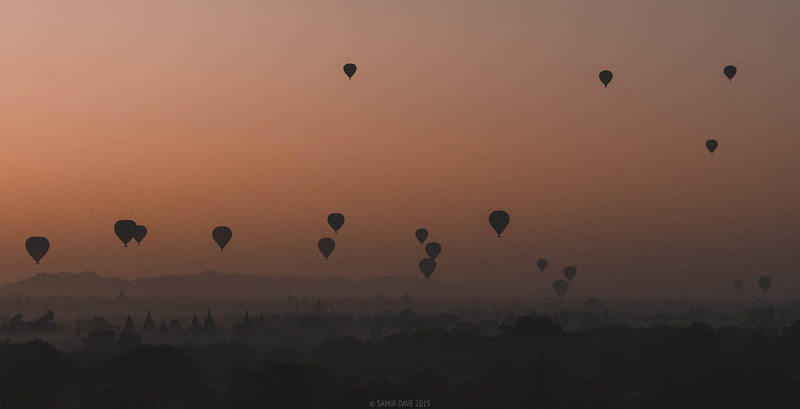 We visited Bagan around May (rainy season) and missed the balloons. We’ll definitely go back for that. Not a good time to visit but we still got lucky, and we were able to catch the sunrise in Shwesandaw Pagoda and sunset in Bu Le Thi Temple.